Winter is closing in pretty quickly and I better get a move on some things if I want to have the siding up this year. 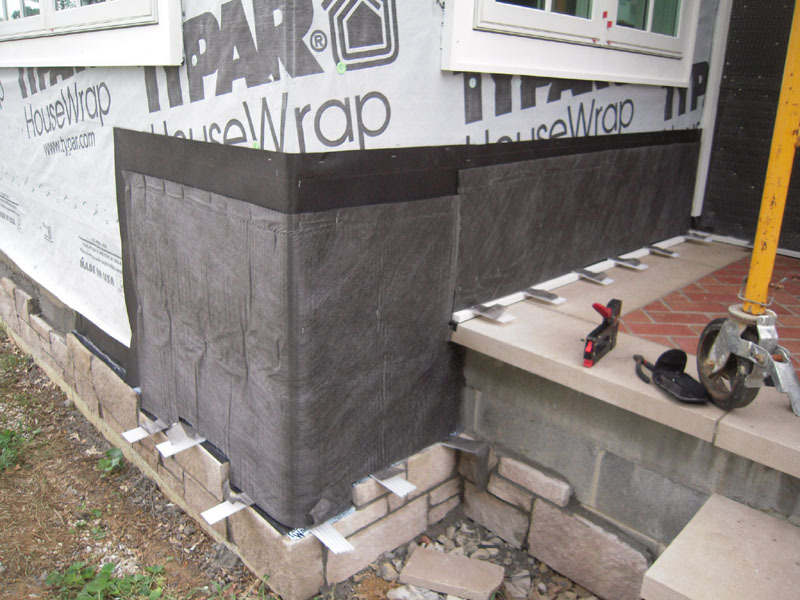 The stone belting goes from the front entrance to the stone mudroom – here are the rain screen weeps before their haircut. And after – they’re pretty much invisible, but will let any water out of the wall system. 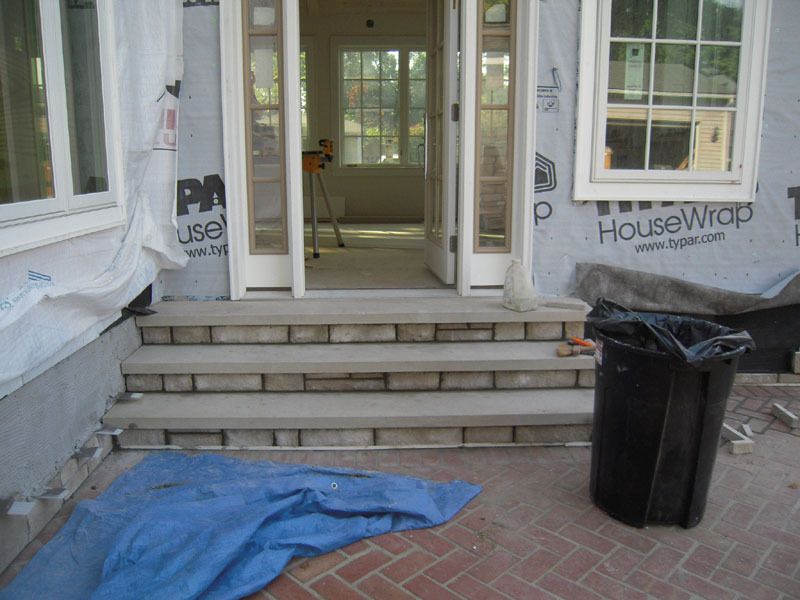 This part of the patio had to be repaired because water got under the slab and froze and dislodged the bricks – if you see that white strip to the left by the steps – that’s to space the stone to allow for some freeze movement to keep from damaging the masonry. Limestone steps were used because they’ll age fairly quickly – and I want this place to look as though it was build years ago. 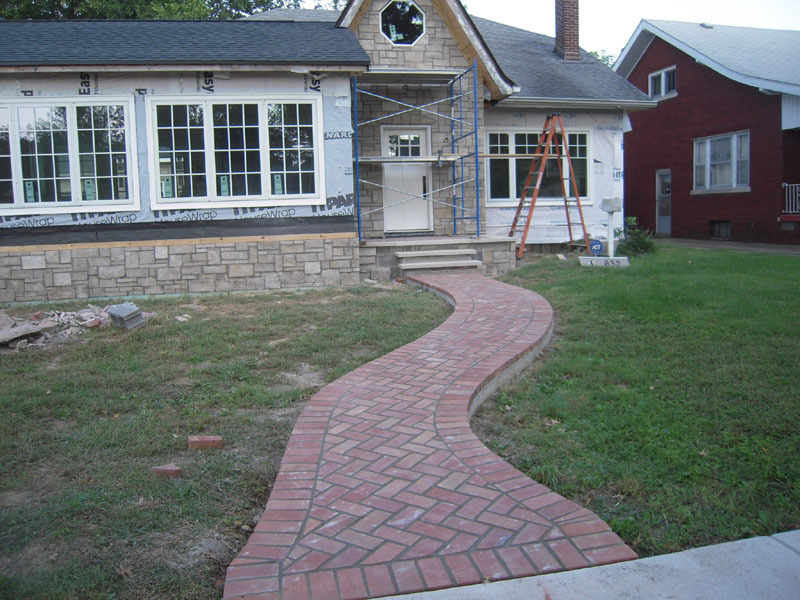 I had the mason duplicate the herringbone pattern in the winding front sidewalk. Kinda Cottagy, don’t you think? 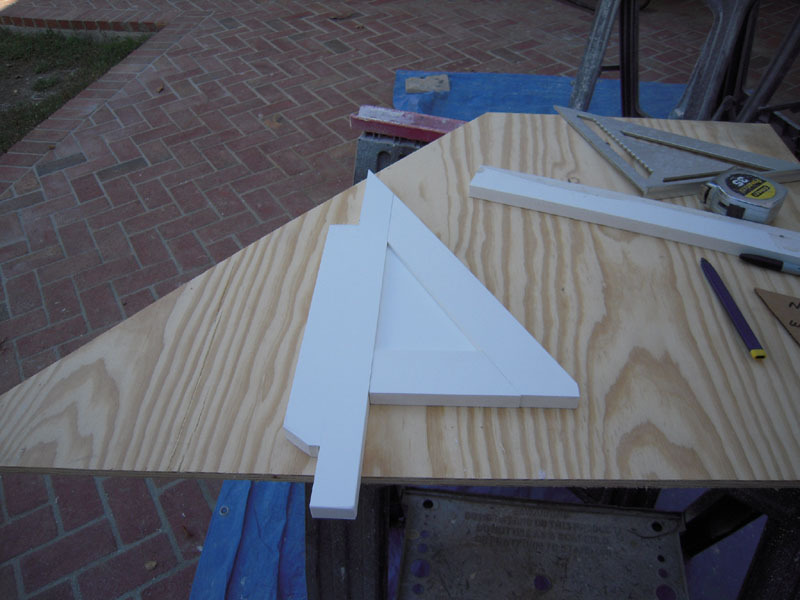 He would do it on one condition – that I cut all the pieces to fit the complicated sidewalk. Here you see his 12″ brick saw that I became fast friends with over the course of this project. And it pops out will little effort. Now it’s time to make things complicated. Here’s the first of many little trim projects. Made from Azek, the whole exterior trim is made from this stuff. So pop the puzzle together with some PVC glue and stainless nails and it looks like this. And that little time waster will go right where the red arrow is pointing. Why? Because I gotta make it complicated. It’s a hobby, remember? Fascias, Friezes and soffits are in my future – I just know it. We’re moving along on the renovation at MisAdventures – a slow pace but a consistent one. 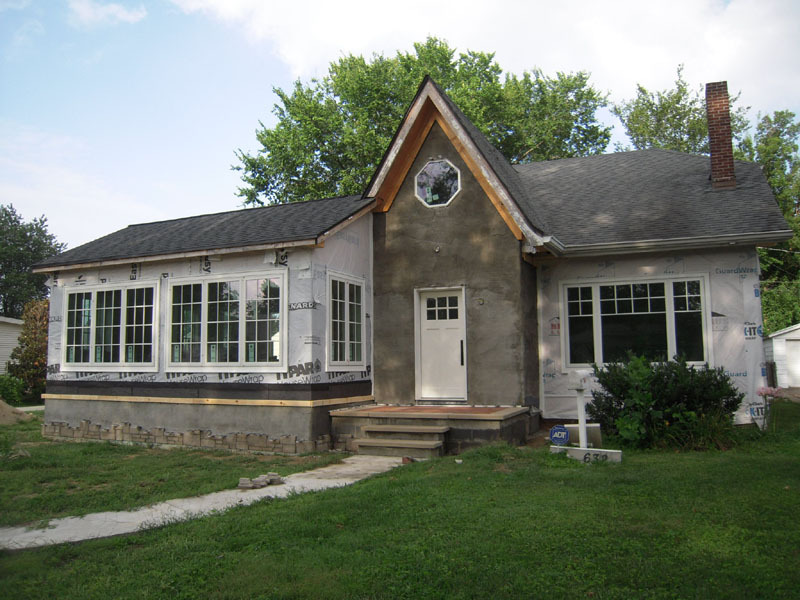 Since I started this project in 2009 we are just getting the exterior prepared for the siding I hope to get up before winter. 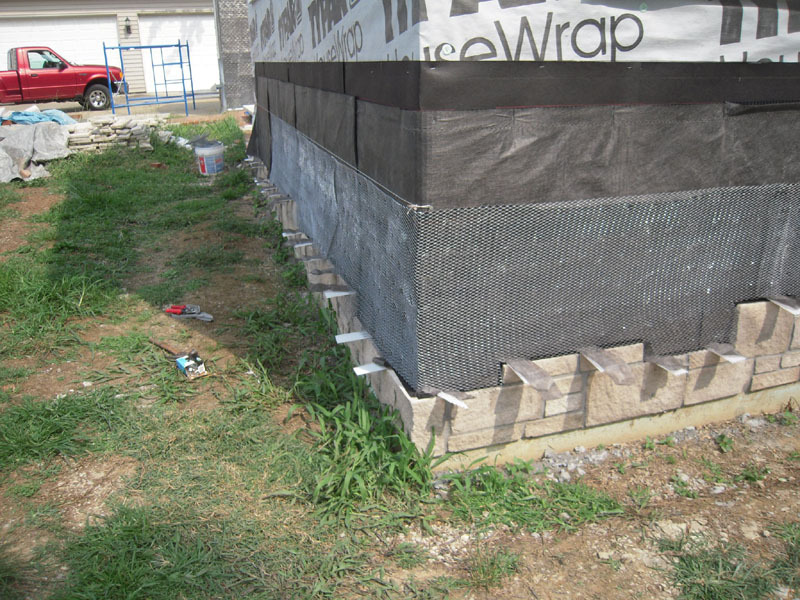 The rainscreen wraps around the corner with weeps installed above the final grade level. The white spacer below the stone on the porch is to allow for movement during the freeze/thaw cycles of winter – it will be removed later. This is a detail of the stainless steel casing bead next to the window. 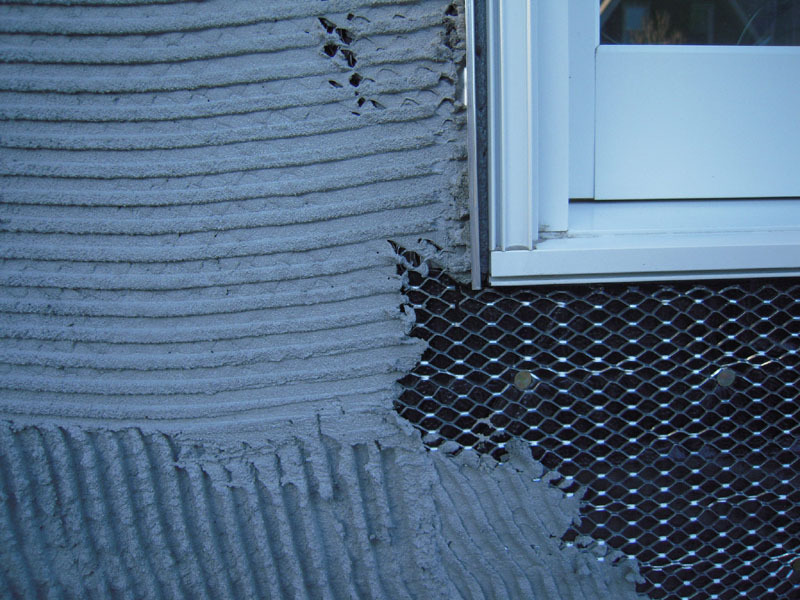 This terminates the metal lath and scratch coat next to a window or door. 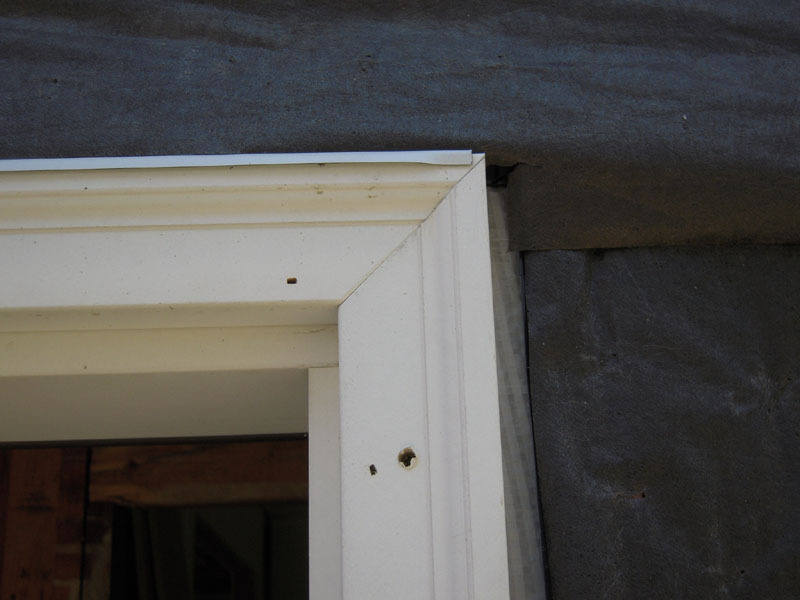 The installed foam backer rod is caulked – this keeps the junction between the veneer stone and window or door water tight. 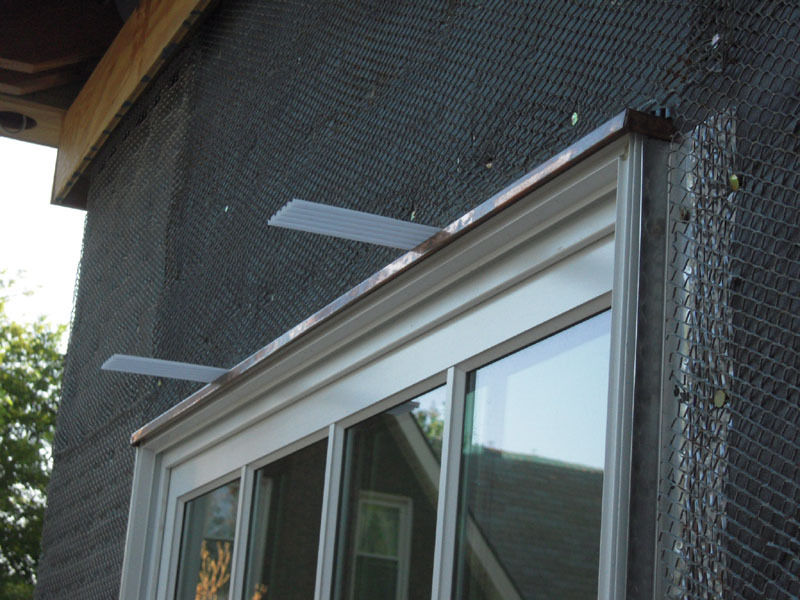 Weeps are added above the copper window flashing to allow moisture out of the rainscreen. 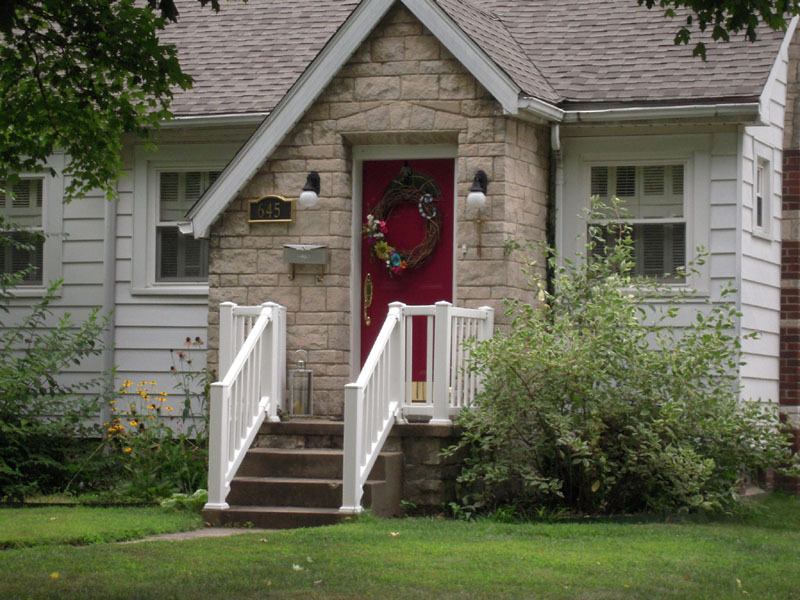 I used this house in the neighborhood which was built about the same time as mine as a pattern for the door detail. 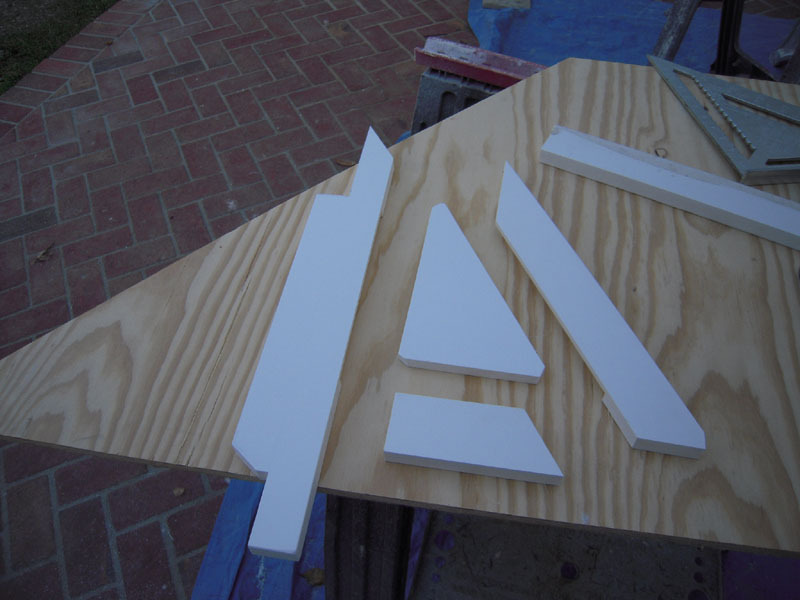 So I cut the veneer stone door header detail using that picture. All the scratch coat is on and ready for the stone. The mudroom and belting scratch coated as well. Freshly laid stone with door header detail. Limestone window sills will be added later. The weeps at the bottom are again spaced from the ground for the possible movement of the surrounding slab in the winter. The stone is wrapped around the limestone steps. I hired a mason to work on the weekends by the hour. 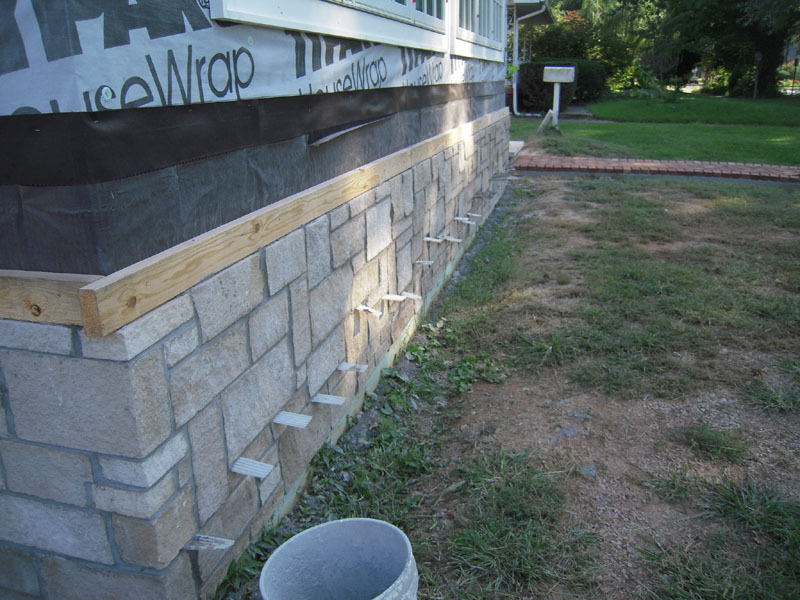 I installed the rainscreens and flashings and cut all the stone- he put the stuff on the wall and it worked out great. 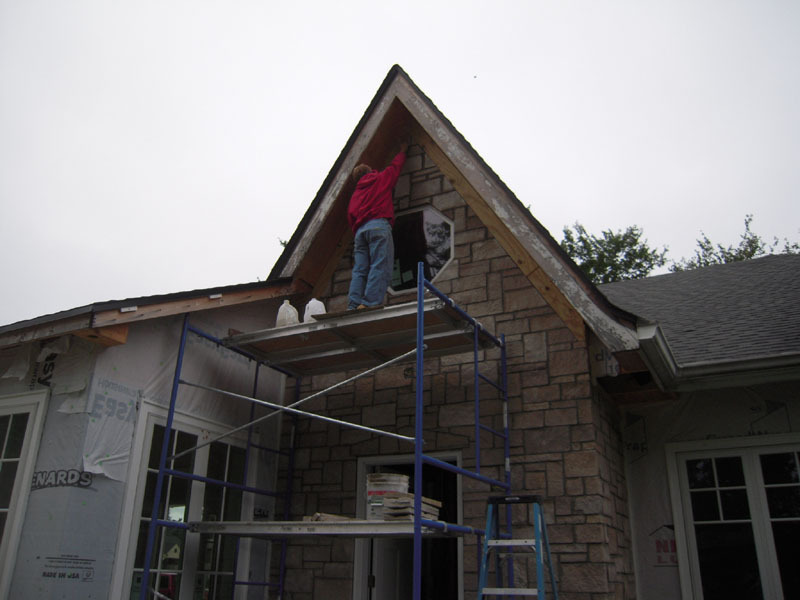 Here the last piece of stone is going on the front. So the big pile of stone is slowly getting smaller. Hang in there – we’ll get ‘er done eventually. I’m trying like the dickens to get to the good stuff – it’s just that I want to make sure I show the process – just in case one of you out there in cyber-land wants to try your hand at this stone masonry thing. 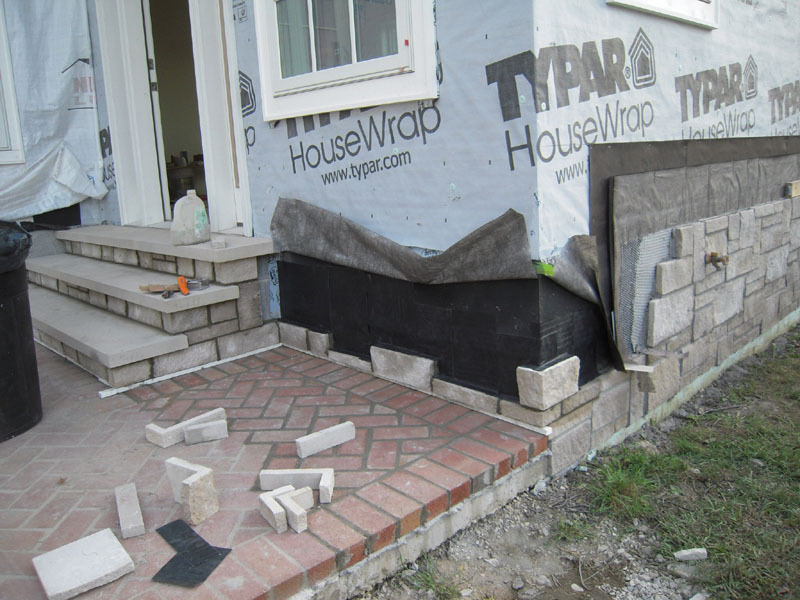 First, when I was in the hospital and wheel chair for the last half of last year my trusty concrete contractor Shawn Thomas Masonry – turned out to be not so trusty. Remind me to put a red circle over his picture at my post here. It turns out he’s OK with concrete and he’s a heck of a block layer – but the rest is pretty poor. So after I got back on my feet I gave him the boot. Lot’s of problems to fix. Like cut electrical wires, buried rain screens and terrible flashing before the black stuff (rain screen went on) So, of course yours truly had to take it all off, tear into the wall to fix the electrical and flashing and drainage issues. Thanks ST. 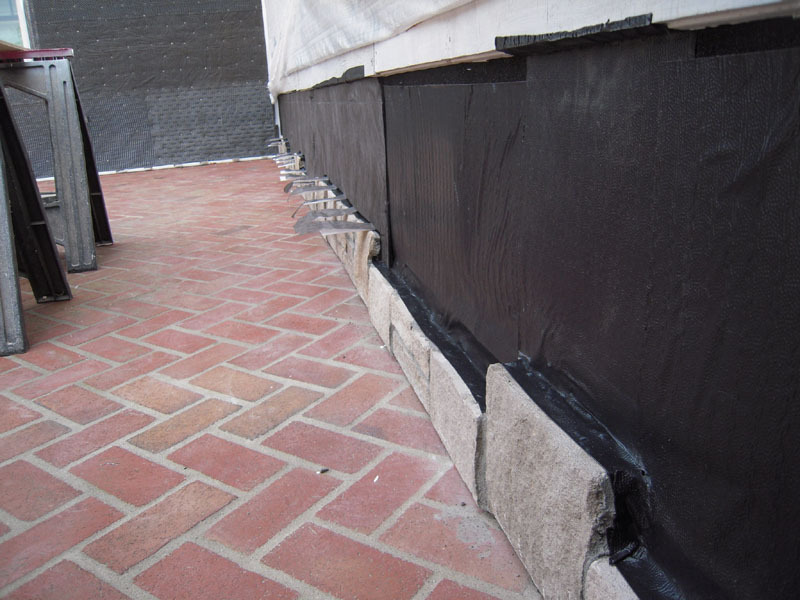 The lower perimeter of the mud room is waterproofed with an asphalt membrane. 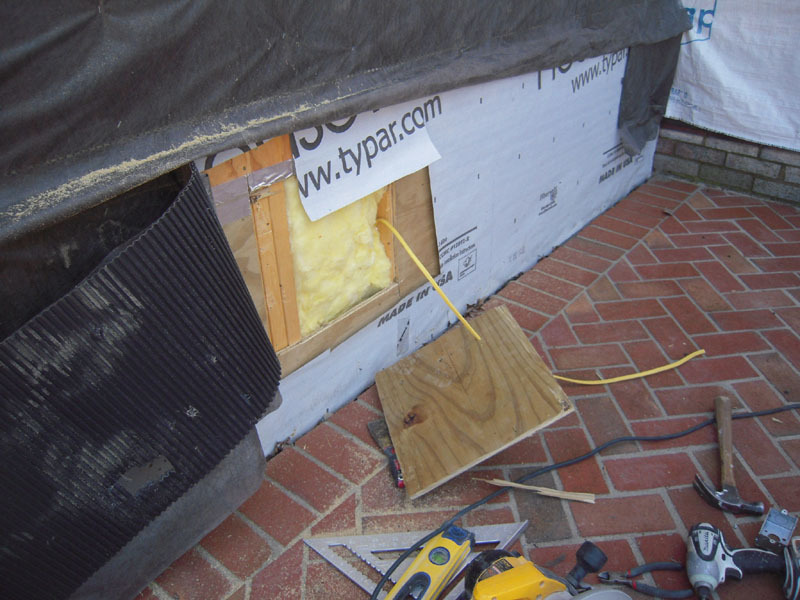 The lower sections of plywood sheathing on the patio side was replaced with treated plywood for extra protection. It was brought all the way around the mudroom base. 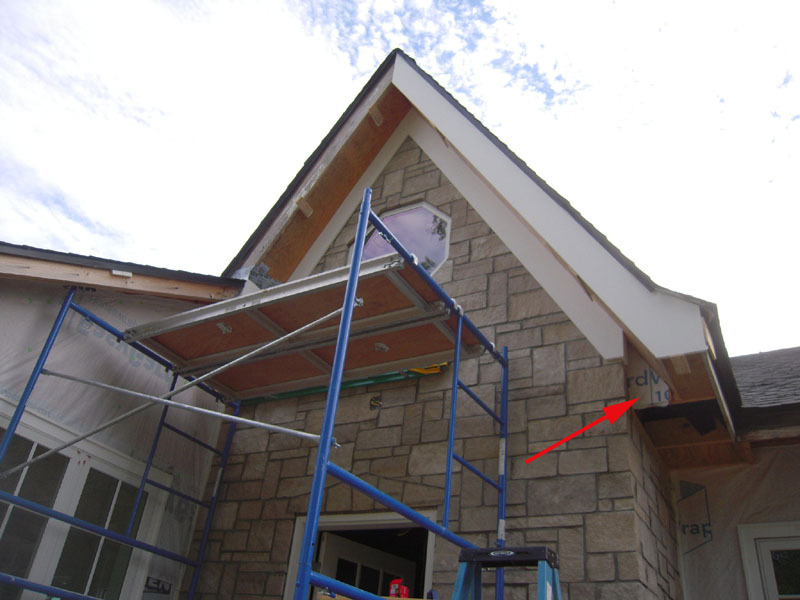 At all intersections of the stone wall and siding an aluminum flashing was placed in the corners as extra protection. House wrap was added over this. You see the front of the house with the black rain screen material to your left. Speaking of really bad flashing. I think Shawn Thomas Masonry came up a little short on this one. 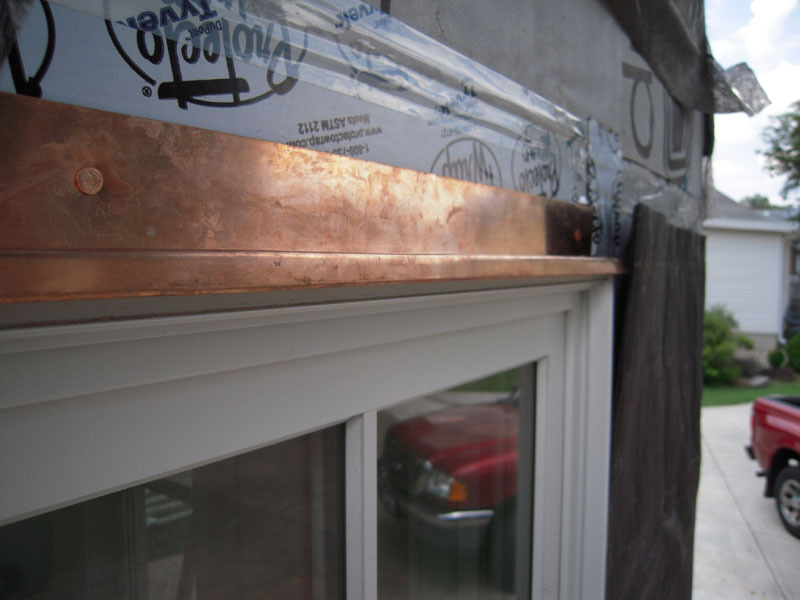 The purpose of a head or cap flashing is to cover the gap at the top of the window or door to keep water from flowing behind the casing. Take some notes ST. Probably just as well, so I could replace them with a soldered solid copper flashing. And you need to use copper nails to fasten the flashing to the wall. Protecto wrap will go over this and the house wrap will go over that. The wire lath is attached with a roofing gun. Yep. everything is now flashed correctly. 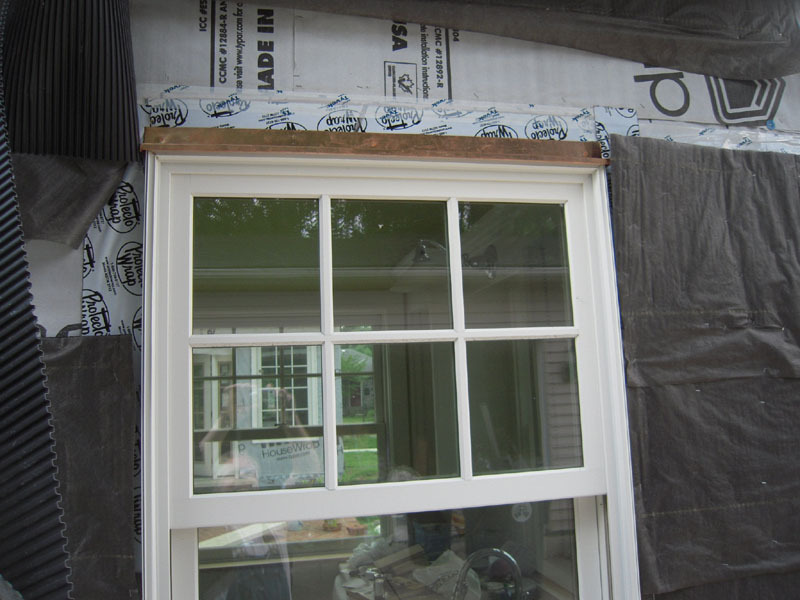 You’ll see a casing bead along the sides of the window – we’ll see more of that in the next post. On the concrete sections of the foundation a couple of courses of stone can go up. Part of this will be covered by dirt when the yard is properly graded. This is put on to keep the weeps up above ground level – you’ll see. Here the rain screen is cut to match the stone contours. The material looks like corrugated cardboard split in two. 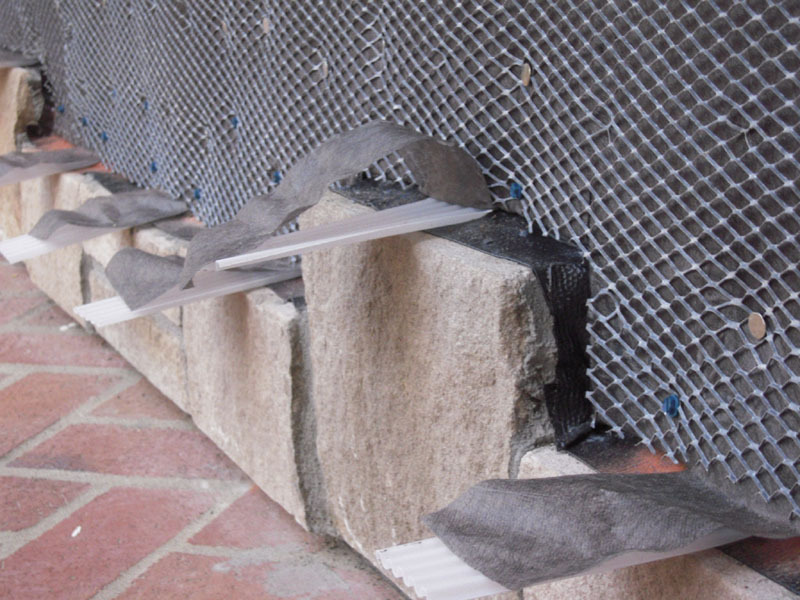 It’s made of polypropylene and the fabric is used to keep the mortar out of the channels. I found it much easier to put the weeps in this way. I used a little house wrap tape to hold them in position. 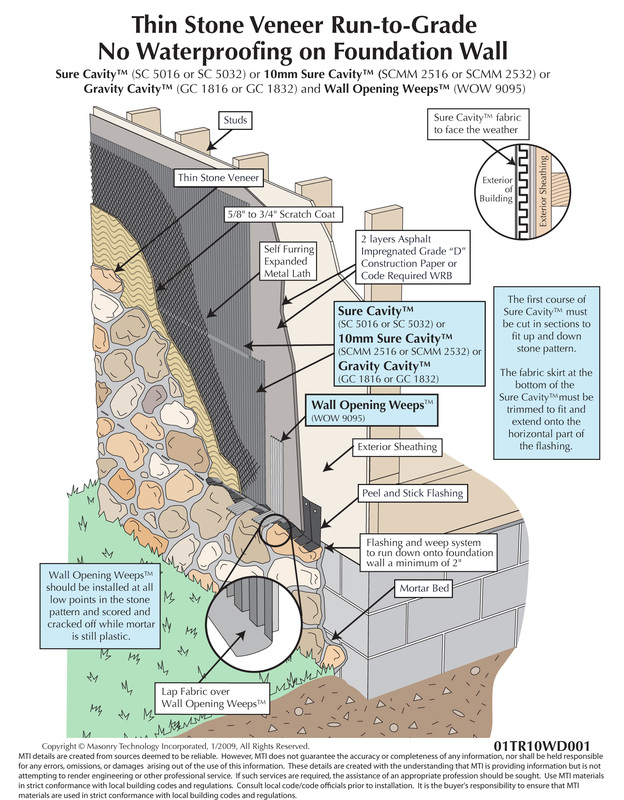 The wall is prepared with a flexible through the wall flashing that seals the top of the stone. 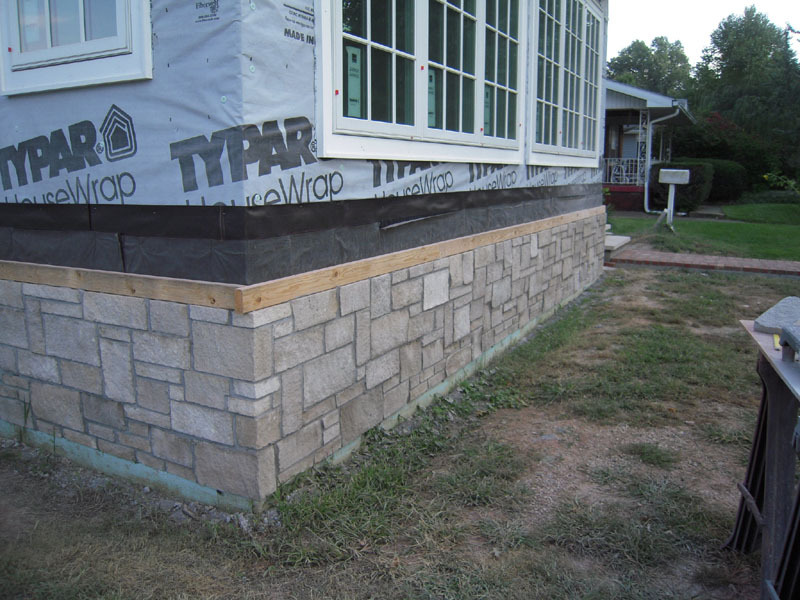 This creates a barrier so water doesn’t get behind the stone and freeze causing bond failure. In this picture you can see the waterproofing, rain screen and weeps and the wire lath attached in the background. The weeps are covered with the fabric to keep mortar from clogging the channels. Roofing nails fasten the expanded metal lath to the wood framing and blue tapcon screws are used to fasten the lath to the concrete below. Here we are ready for the scratch coat. The layers from the inside out are as follows. 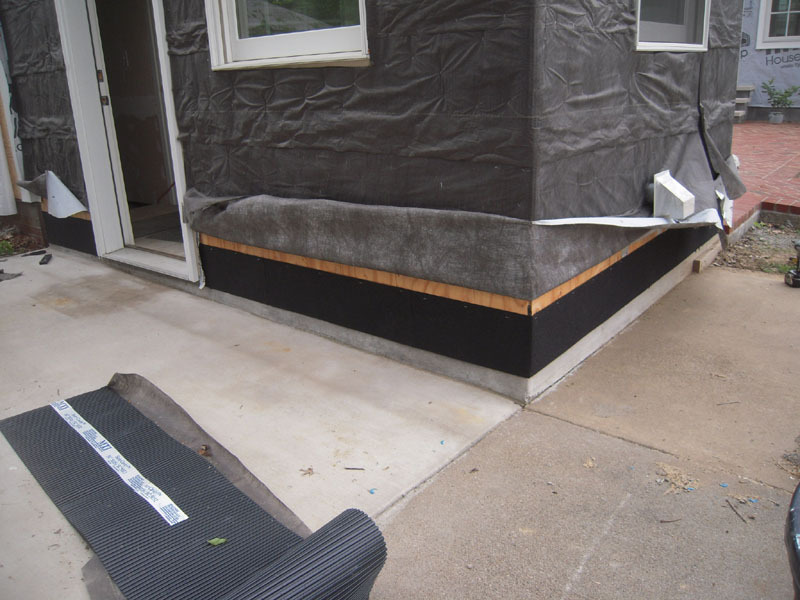 House wrap – 15 pound asphalt felt – rain screen with fabric cover – expanded diamond lath. Long post, but we’re getting somewhere. As my previous post eluded to – the concept of proper veneer stone installation seems more difficult in the explanation than application. I wanted to install the veneer the best possible way to ensure a long life. Unfortunately – there are multiple ways to put this stuff on a wall and everyone with experience installing veneer stone did it a different way. 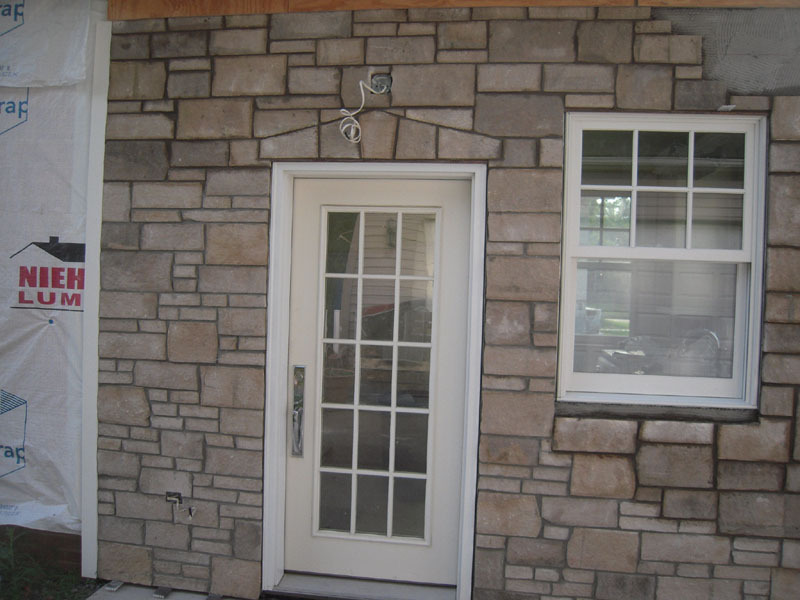 This is a pretty tedious post – but I wanted to do this because I have seen so many veneer stone installations that are going to fail in a short time. 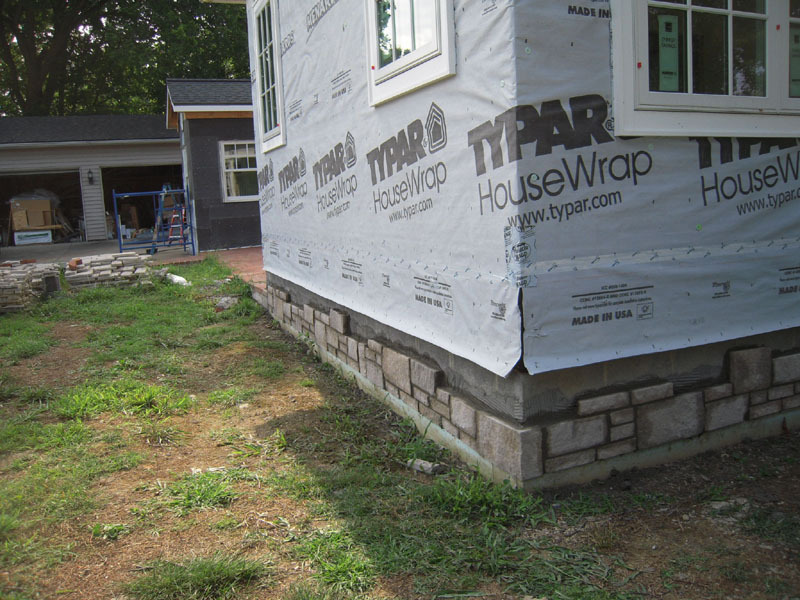 This post has all the basics – the next post will show how I used the products to install my veneer stone. So…after months of research and looking at many stone installations I came to the decision to do it this way. Pretty simple, right? 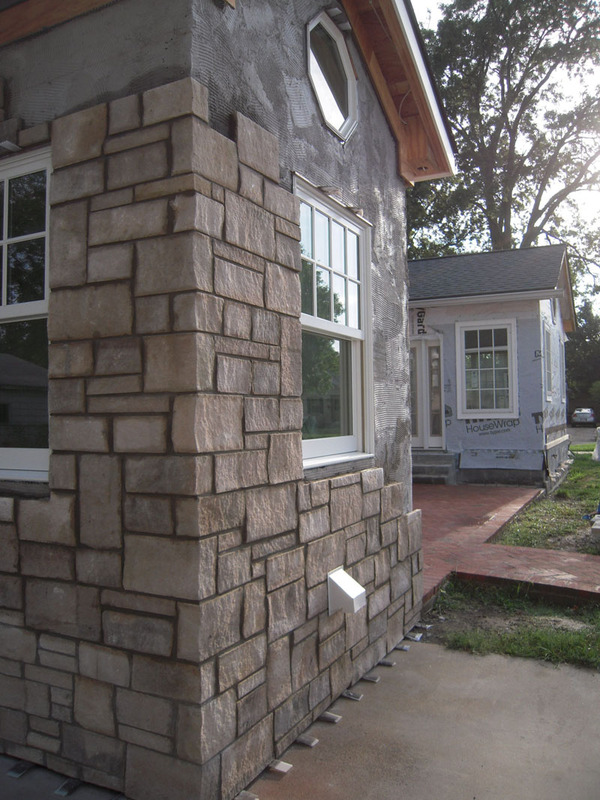 Yeah, sure – if your the Einstein of stone masons. My eyes glazed over when looking through all the stuff on the internet. But it really is pretty simple and makes a lot of sense when you start putting it on the wall. 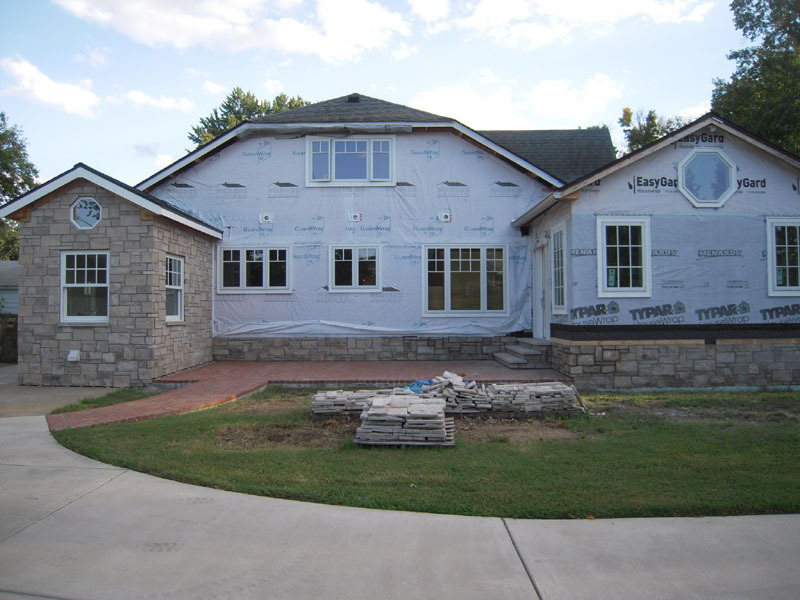 The above is a typical home construction with wood framing over a concrete foundation. Let’s break it down from the bare wall sheathing to the final stone – and why they’re (to me) important. 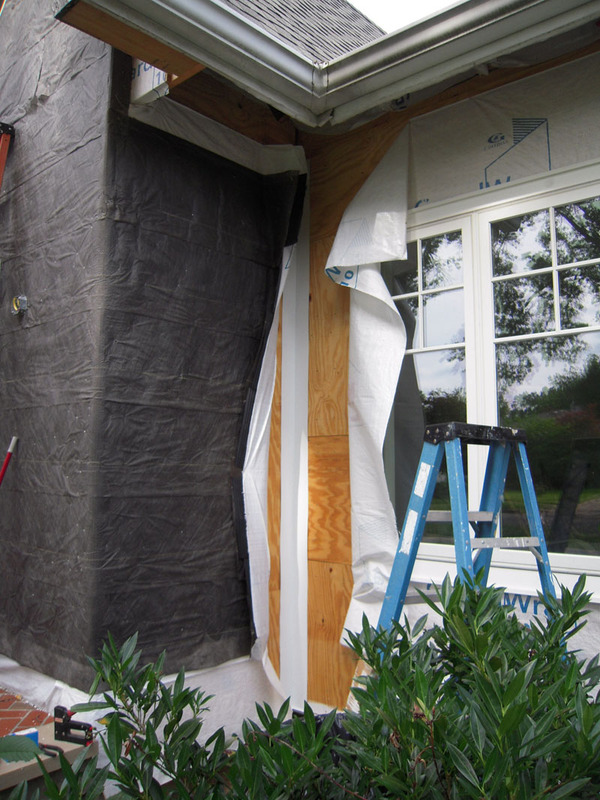 WRB – Or weather resistive barrier – most modern homes are constructed with a layer of ‘House Wrap’ Tyvek – Typar or other materials to protect the raw wood sheathing from the weather. 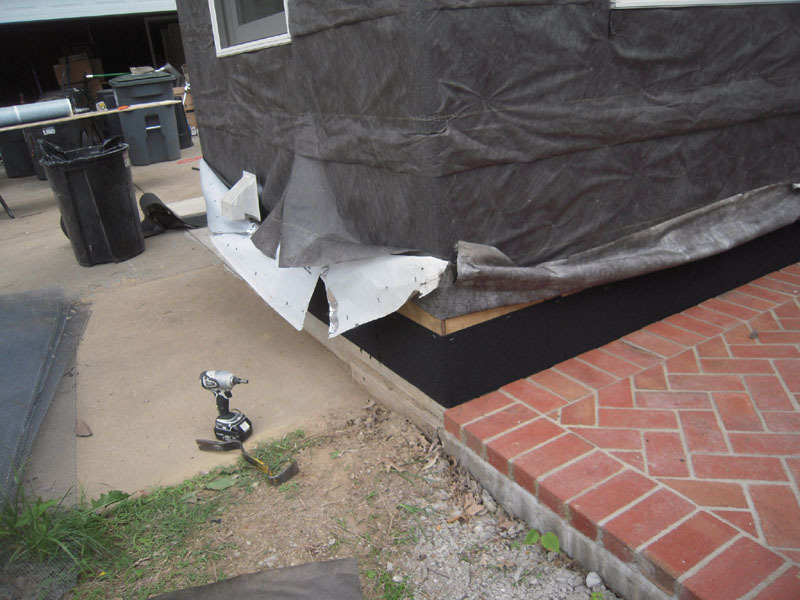 On older houses they may have used a ‘felt paper’ impregnated with asphalt – or nothing at all. This goes on 1st as the last line of protection from water getting in. 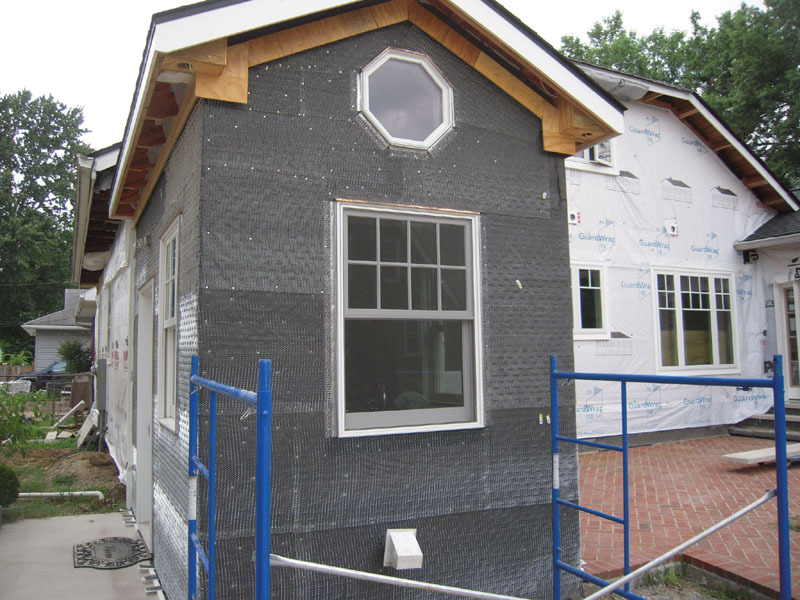 Rainscreen – This is next. 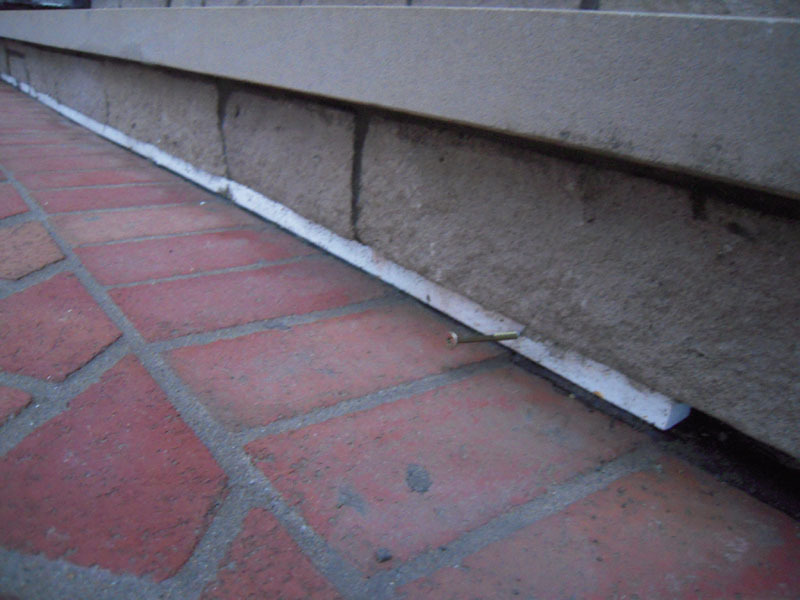 A layer of material that allows moisture to drain from the wall. If you have a traditional brick home you have a rainscreen behind the brick – a gap between the wood framed house and brick wall. In a veneer stone application you need to use something that spaces the stone away from the wood. 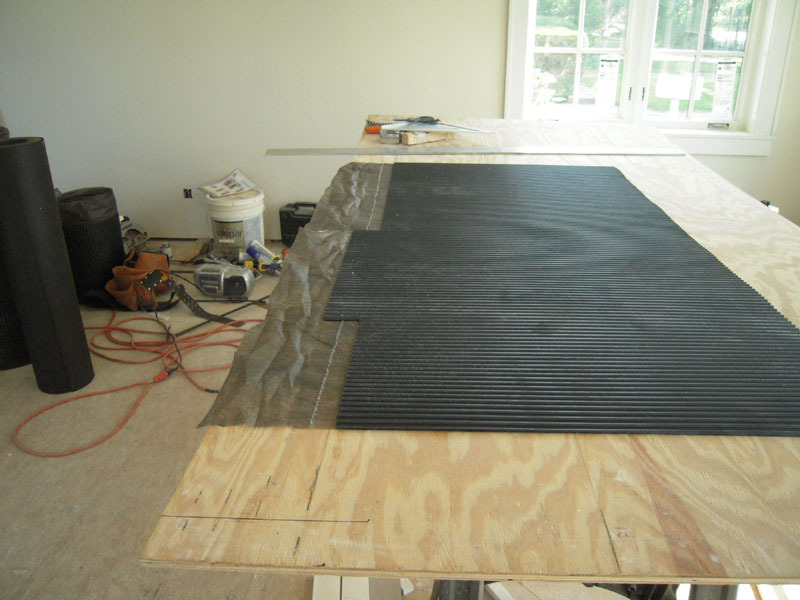 I used MTI Sure Cavity because it has a rigid corrugated channel that installs very flat on the wall. This to me is a very important part – all stone, brick and concrete absorb moisture – no amount of sealing, painting or other mumbo jumbo will keep the water out. And when you do get moisture in the wall – you have to get it out. If not – there will be a problem sooner or later. Weeps – These are the little devices that channel the water from the rainscreen through the stone to the outside. Repeat after me “You gotta have weeps”. Flashing – Get you mind out of the gutter because if you did all of the fancy things above correctly and you mess this up – you just wasted time and money for nothing. 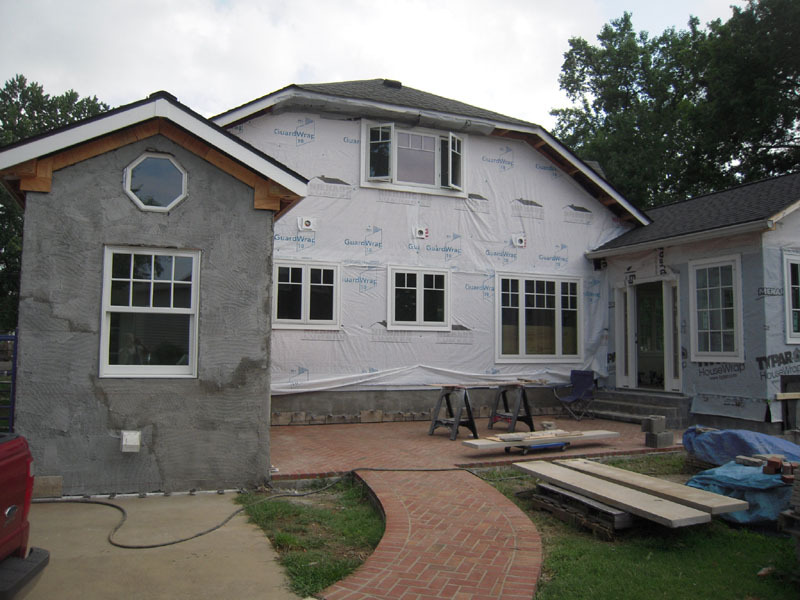 Proper flashing of windows, doors, sills and other penetrations are top of the list of must do correctly. 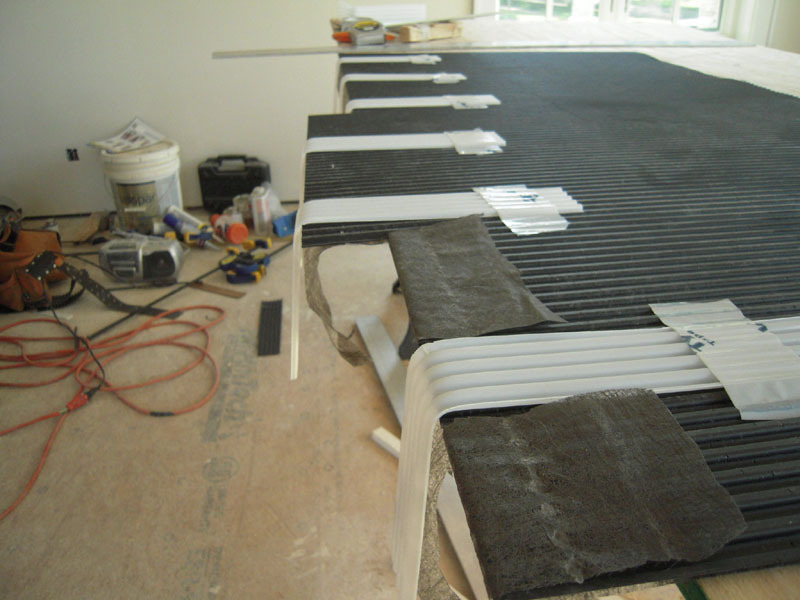 Wire Lath – This is the mechanical fastening part of the veneer installation. 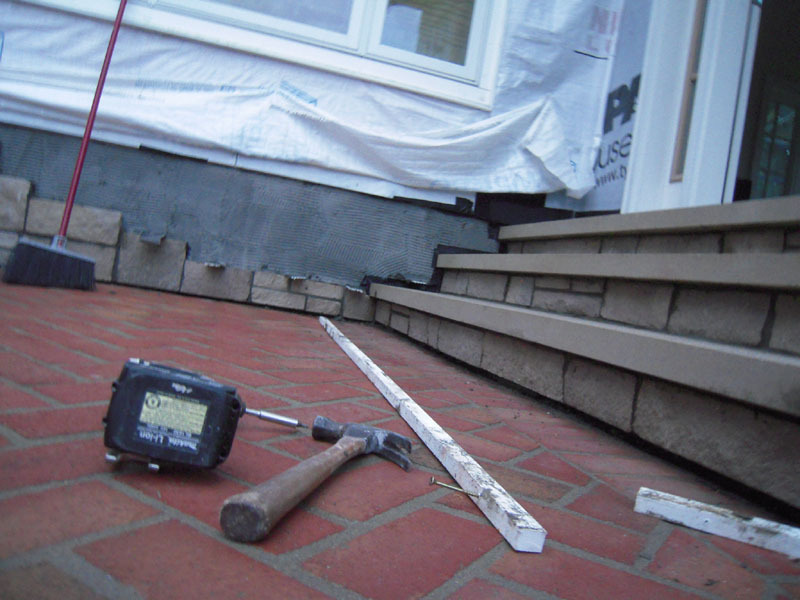 When bricks are installed, brick ties are used to keep the bricks attached to the wall. With veneer, it’s wire lath. This is nailed securely to the sheathing and wall studs. 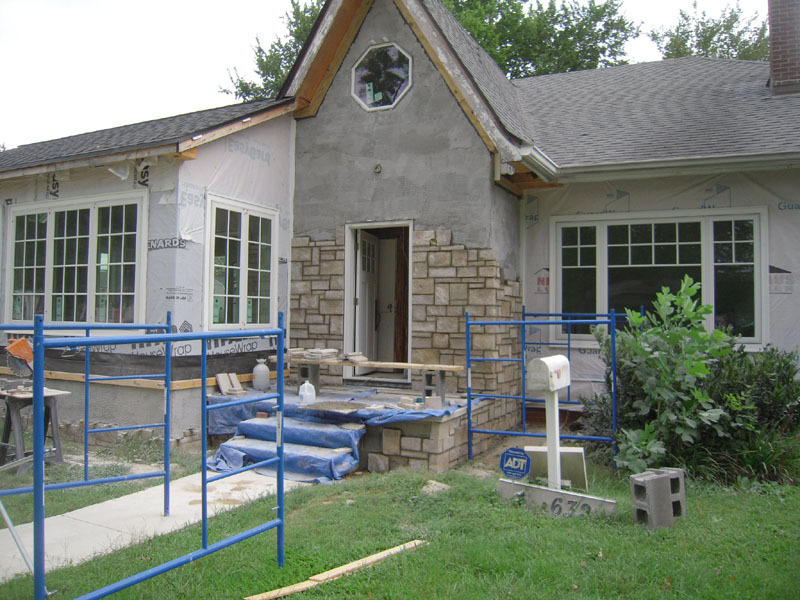 Scratch Coat – The first layer of mortar that is applied over the wire lath. It embeds the lath with mortar. Before the mortar hardens is textured with ridges to help key it in with the final mortar bed. That’s why it’s called a scratch coat. 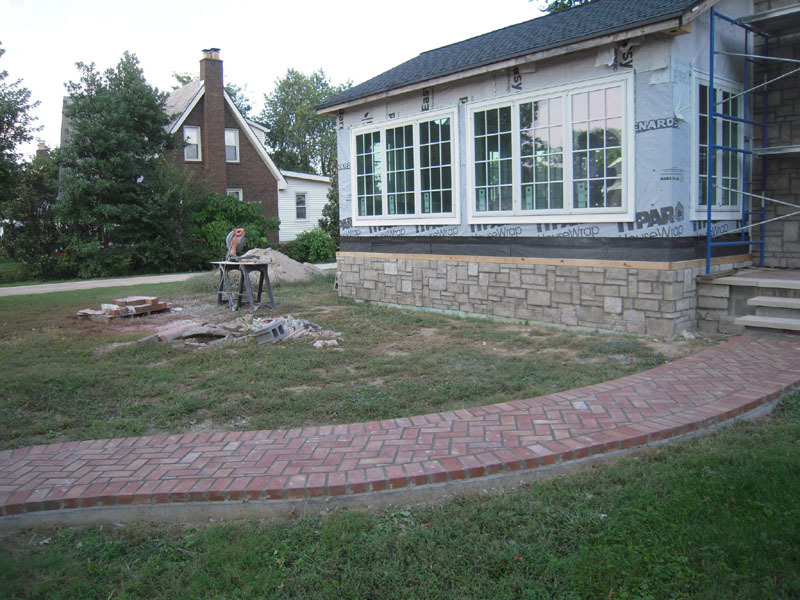 Mortar Bed & Veneer – The final bed of mortar is just like tile – the stone is buttered and pressed in place. 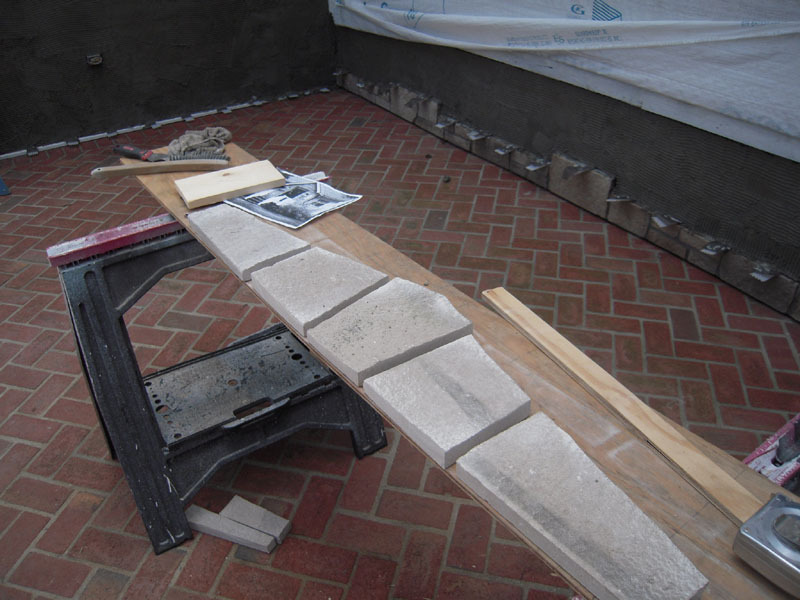 I used the same mortar for ‘grout’ to fill around the individual stone joints. Grout – Serves the same function as tile grout – filling in the spaces around the veneer stone. You would use this if you wanted a special color for the grout. Other Stuff – Things like Casing beads – backer rods and other accessories meant to make you more confused than ever. But they all have a purpose. So we have the basics out of the way – next time lots of pictures using the above mentioned elements. This is the start of a new chapter in the Adventures series. I have puzzled over how to present this on the blog because the concepts are pretty simple, but the explanation is not so easy. As with all my projects there is a ton of research. but I get confused with just seeing it on paper – the best way to figure it out is just do it. 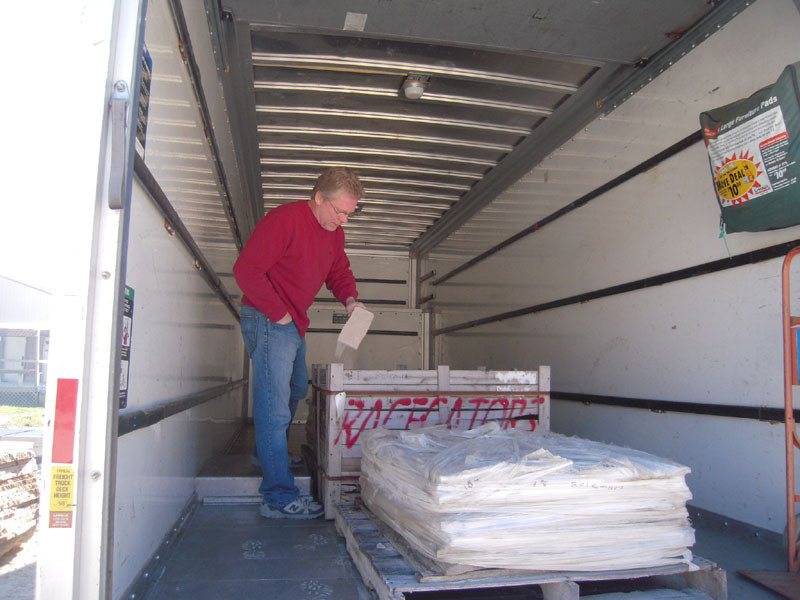 Step one – get the materials. I’m pretty lucky in the fact that we live in southern Indiana – the state with a lot of limestone quarries. Many of the buildings in Washington DC, as well as other big cities use limestone from our state. Now most veneer clad houses around here use the pre-cast concrete stone made to look like the real thing – would that work for yours truly? 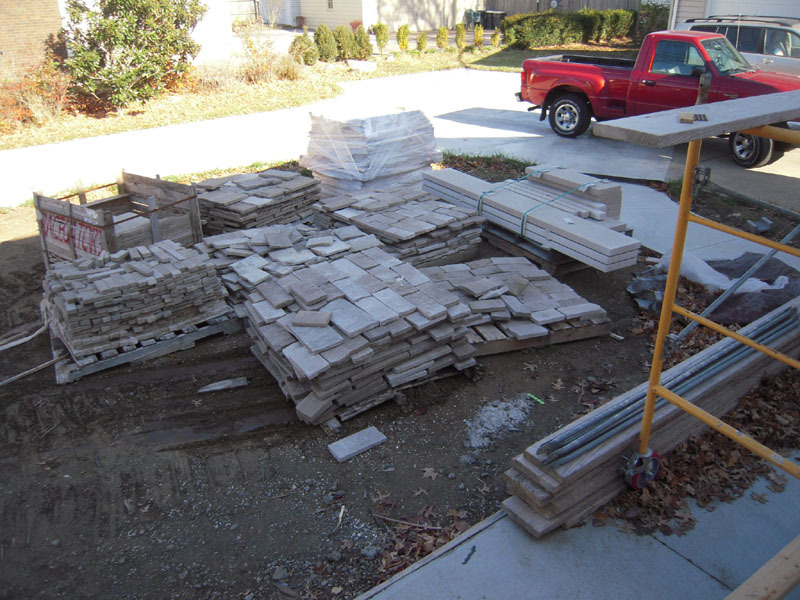 I found that I could get real limestone cheaper than the fake stuff – all I had to do is go get it to save shipping costs. So we went and rented the biggest truck we could find. Tiny Francia is behind the wheel. 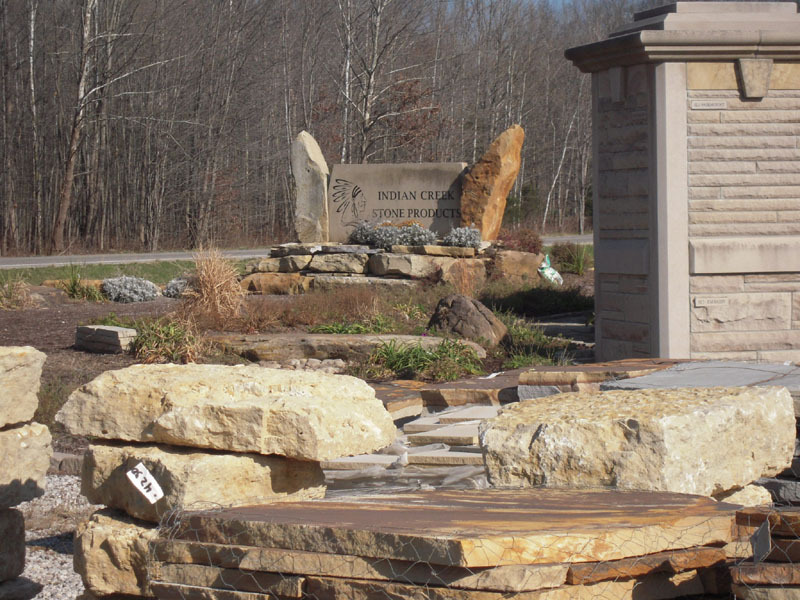 And off we went to Indian Creek Stone Products in Mitchel Indiana – about an hour and a half drive away. Simple – well, not really. Here’s Francia and the Stone manager, Dave Franklin – he was a great guy to work with. And here’s why. 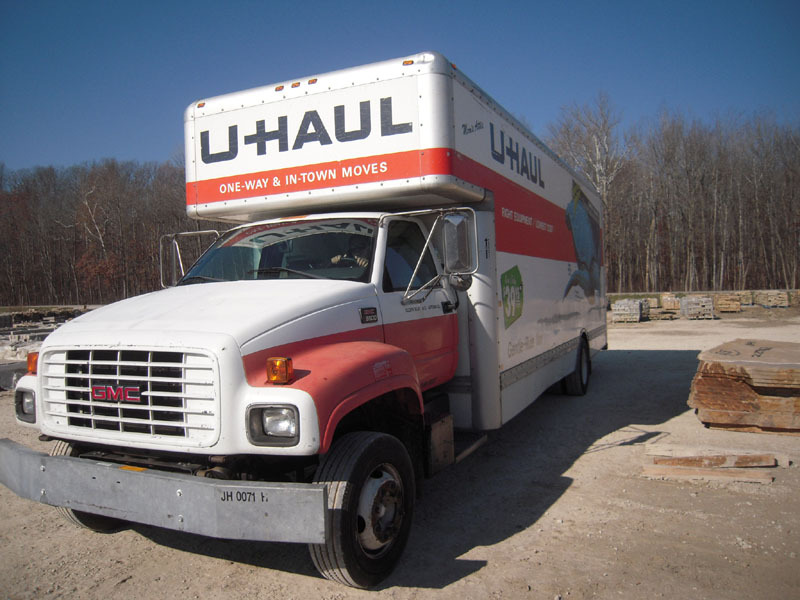 Because I needed the biggest truck they had – it didn’t have a flat bottom in the cargo bed. 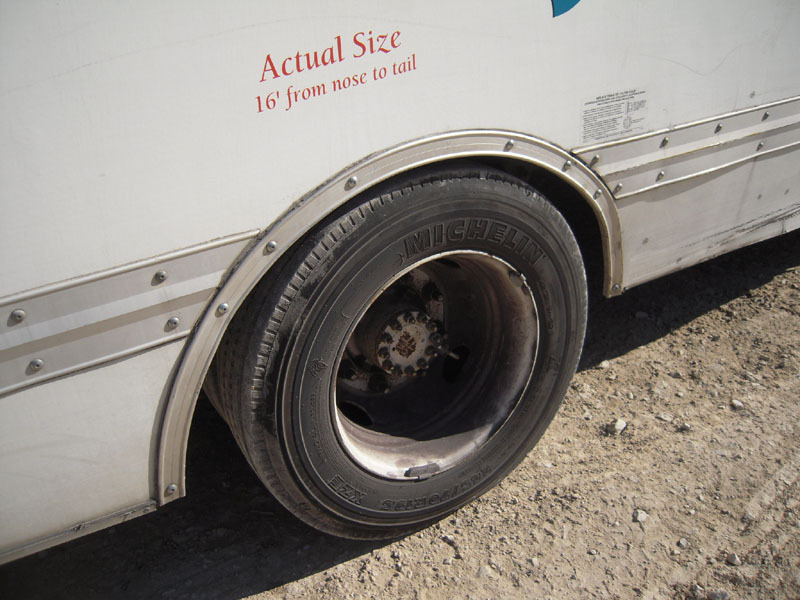 The wheel wells stuck up about 6″. Here I’m deciding which pallet to unload and move to get past the wheel wells. If I had known what I was in for I would have built a wooden deck 6″ tall to make the bed flat. OK, next time. 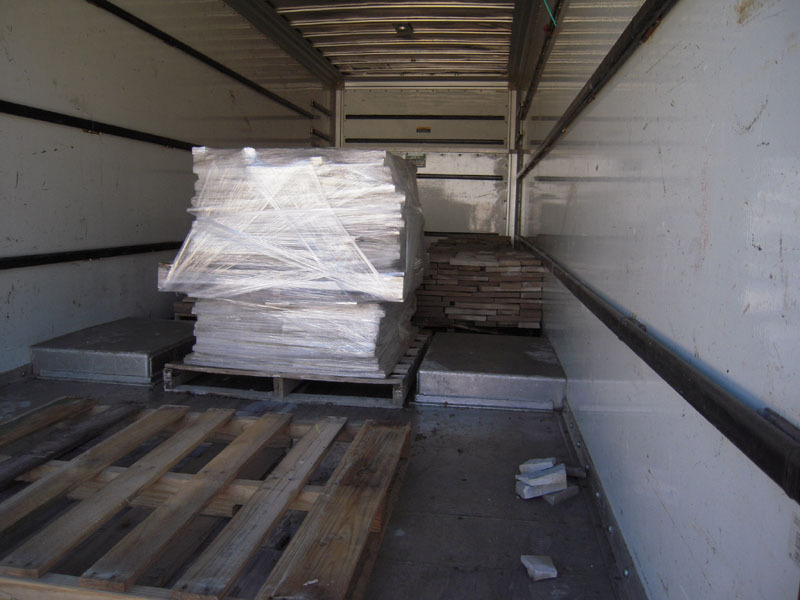 So after an hour of moving each piece on two pallets ( Thanks Dave for the help) we were able to load the rest. Once all the veneer and cut stone was loaded, the truck wasn’t too happy. The suspension was resting on the rubber limiters that keep the tires from rubbing against the body. Sorry Mr. U-Haul. So the trip coming back took twice as long – mainly because there’s a lot of hills and the big old truck topped out at 35 miles an hour going up hill. But it was a lot faster going down hill – yikes! But we made it and here sits several tons of limestone. Now all we have to do is figure out how to get this stuff on the wall….